This is the hurricane that touched hundreds of thousands through damaging winds and torrential rain. Ensuing floods have swelled rivers, broken levees and evacuated entire towns. Homes, businesses, farms and crops have been destroyed. Many remain without power. Clean-up has just begun. Rebuilding will go on for months, maybe years. 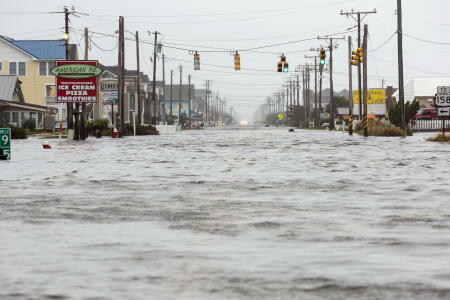 Give to the North Carolina Community Foundation’s Statewide Disaster Relief Fund. Donations can be made online by clicking here or by downloading the contribution form. Donations can also be mailed to the NCCF headquarters office in Raleigh at 3737 Glenwood Ave., Suite 460, Raleigh, NC 27612. Please designate your gift for Hurricane Matthew. All contributions are tax-deductible, and no portion of the NCCF Disaster Relief Fund will be used for the Foundation’s administrative or operational expenses. NCCF encourages recipient agencies to also waive any fees associated with distribution of its Disaster Relief Fund grant. For more information contact the NCCF headquarters office in Raleigh at 919-828-4387 or info@nccommunityfoundation.org. Please join us in helping to get our state back on its feet.